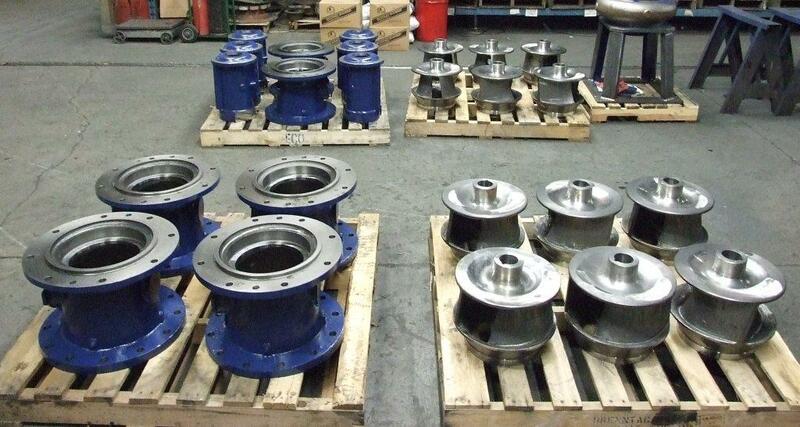 Nearly 13 years ago, ABBA Parts embarked on a project to re-engineer and manufacture the necessary parts required to retrofit 81 pumps at the Deer Island wastewater treatment facility in Boston. The original 12” centrifugal return sludge pumps, which at the time had only been installed about 5 years, were failing at an alarming rate. Shaft breakage directly behind the impeller was the main problem. Since 2003 we continue to support MWRA – Deer Island with high quality replacement parts, delivered quickly and at very competitive prices. Total shipment consisted of 6 each: CW and CCW impellers, bearing frames, frontheads and wear rings to fit ABBA model 1221/XT35 pumps. Come see us at NEWEA 2019 and win a door prize!! Fresh bums, clogging problems and single vane impellers.